Maybe it’s just one room. Maybe it’s more. However, if you’re like most people you probably have one or two rooms in your house that are unusually warmer than others, no matter how low you set your thermostat. In a more extreme case, it might be half or more of your entire house. Do you find yourself staying in certain rooms because they’re more comfortable? Are you using supplemental cooling devices like room or ceiling fans? Do you use a window A/C unit? Does your house stay unusually warm even after the sun goes down? 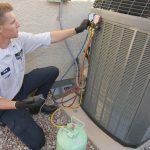 Is your A/C unit running ALL the time? Uneven cooling (or heating) of rooms is a common symptom among forced-air systems that are more than 7 years old. Here in Arizona we are lucky enough to have winters that are much more pleasant than the rest of the country. Unfortunately due to this fact, most homes in Arizona are not properly insulated. Let the Home Performance division from Precision Air & Heating visit your home or office and perform and in-depth evaluation. We will show you the ways in which you’re losing money by having inadequate insulation, poor attic ventilation, decaying ducts, or an incorrect sized A/C system that is having difficulty meeting your needs. Precision’s Home Performance division can identify and eliminate these costly problems in your thermal infrastructure by concentrating in three major areas: ventilation, insulation and thermal barriers. During the summer months, the average attic in Phoenix can reach more than 185°. That hot air must be allowed to escape, otherwise it’s exactly like having a giant heating pad on top of your head! If your attic lacks the proper ventilation, it will quickly heat up and stay hot all day long, even after the sun sets. 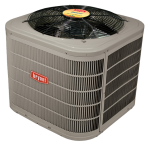 That trapped mass of extremely hot air will radiate heat into your entire house, making your A/C unit work even harder and ultimately increasing your electric bill. Closely related to the issue of poor ventilation is the equally important issue of improper insulation. Do you know how much insulation is in your attic? Without proper insulation between your attic and your living space, thermal penetration will occur. A well insulated house will be more evenly cooled. Hot or cold spots will be eliminated, and rooms will be more comfortable top to bottom. Adequate insulation will prevent warm air from escaping in the cooler months, and will stop the heat from entering in the brutal summers Phoenix is famous for. A radiant barrier is technology that was originally developed by NASA to protect astronauts during the space race. Over the last several decades this technology has become better and much more affordable. A thin thermally-reflective polymer coating is applied to your attic to reflect excess energy out and away from your house. Radiant barriers are more effective in hot climates than in cool climates, especially when cooling air ducts are located in the attic. Some studies show that radiant barriers can reduce cooling costs up to 10% when used in a warm, sunny climate. The reduced heat gain may even allow for a smaller air conditioning system. Was your A/C system installed when the house was built? Unfortunately home-builders sometimes install the cheapest parts they can find, and the overall system design is sometimes less than optimal. Or more simply, the air ducts could be improperly connected or inefficiently routed through your house. The air ducts themselves can become restricted due to an easily fixable build-up of dust and debris. In more extreme cases they can become totally clogged. Do you have a two story house, or more than one A/C unit? The two A/C units could actually be competing with each other. Having two separate systems means you could have twice the problems. All of these factors come together and determine the comfort level of your home and the cost of that comfort. 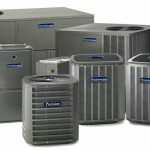 Unfortunately an A/C system that is NOT running at peak performance is more expensive to run – wasting more of your hard earned money every month. If your house is lacking the right ventilation or insulation, that could only be making the problems worse. Let the Home Performance experts from Precision Air & Heating complete a simple Home Performance Inspection to see the ways we can help you save money and make your home a more inviting environment.